A couple of deer from last weekend. Lots of sausages and small goods. Lots of walking and carrying. The one hung up in the tree took a bit of finding until Tilly told me it was 100 yards or so down the side of the ridge. The other one (the top pic) was lung shot and ran 100 yards - I actually thought I had missed it because it didn't even flinch. But we crossed a good blood trail and Tilly found it piled up. hillclima, Shootm, wsm junkie and 21 others like this. i think that dog of yours more than earns her daily keep. Tahr, Scouser, Gibo and 1 others like this. Nice green feed there, the hills around the top of the south are all brown and need rain badly. Tahr, mikee, Shearer and 1 others like this. Yes, you can see in one of the pics she is laying flat in the grass. 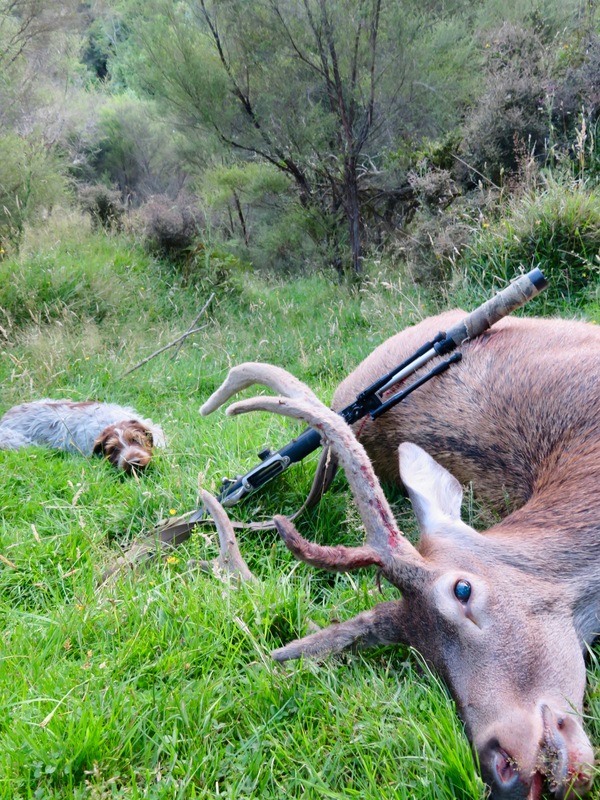 She was pretty buggered and it was just an evening hunt. She spends a lot of time chewing biddy-bids off. She even tries to get them off her legs while she is walking - sort of hopping and pulling them off with her teeth at the same time. Yeah. Its in the North Wairarapa under the Puketoi Ranges which is a wet area. A couple of weeks without rain is a drought. shes a good lass doing the hard yards in the heat......Im guessing it was the all copper projectiles??? ?and maybe they didnt connect with bone and find enough resistance to open up much???? there is a down side to everything and I believe this senario is thiers. Yes. 129 LRX. Made a big enough hole but probably a bit far behind the crease. You can see the angled forward in hole in the pic just by the suppressor. you want a few 110s to try????? they would be lazer beams at the speed you could push them LOL. 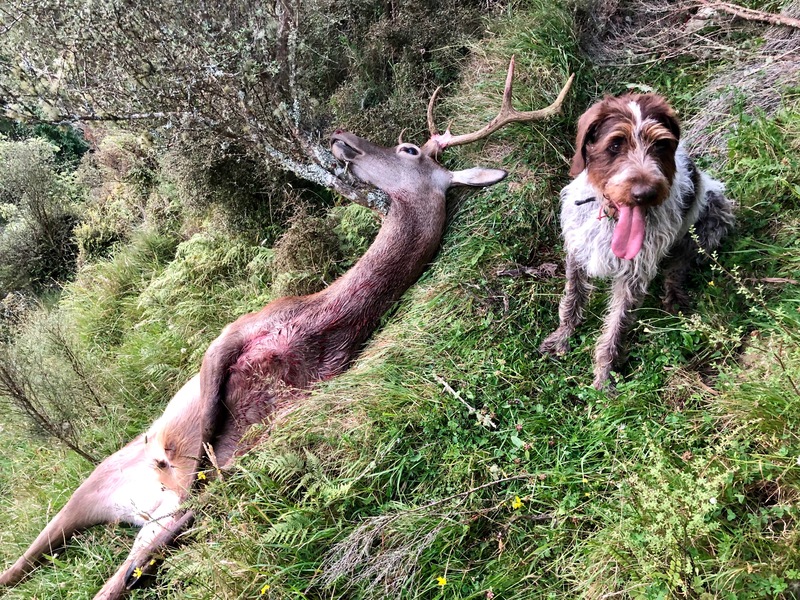 Good stuff another successful evening, might need a quicker opening bullet .....maybe ....Nah you got a good dog Tilly so you shouldn't lose any runners. Well Done.